Even though Summer is officially coming to an end, the SDCIA not letting go! Join them in chasing the 'Endless Summer' at their signature networking mixer, bayside at the beautiful Hilton Mission Bay! 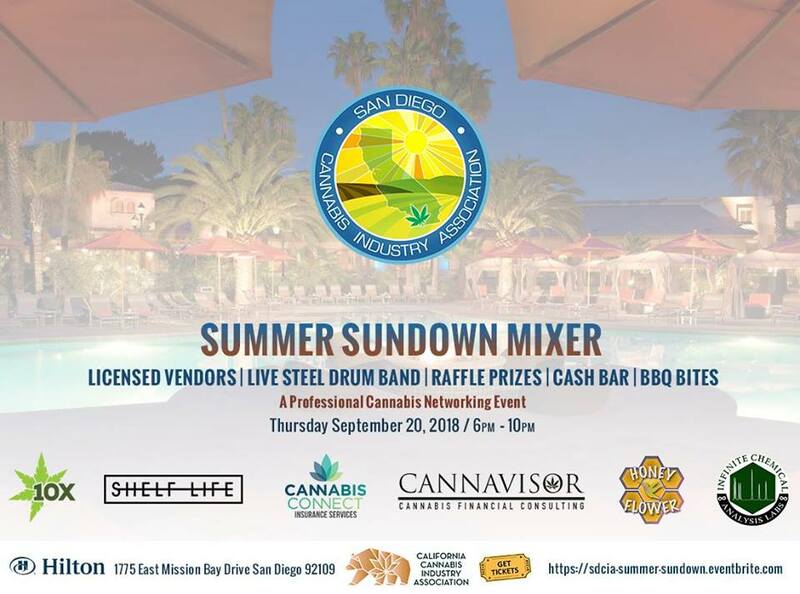 This year’s event features pool side games & prizes, beautiful bay views, fresh breezes, and tropical sounds of live steel drum music while you mingle and network with San Diego’s top cannabis industry professionals. Visit sponsor tables to play games for a chance to win! There will be a full cash bar, and as always, SDCIA will be hosting light appetizers. They've built a reputation for fun and unique events and this one will be no different!